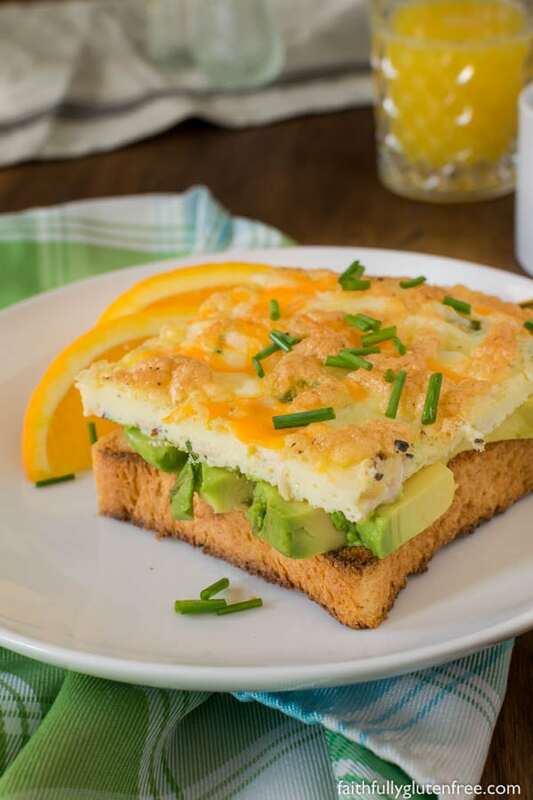 Whether you are making breakfast for the week or feeding a crowd, these Sheet Pan Eggs will help you save time in the mornings. Perfect for when you are on the go but still want a hearty, healthy breakfast to kick-start the day. 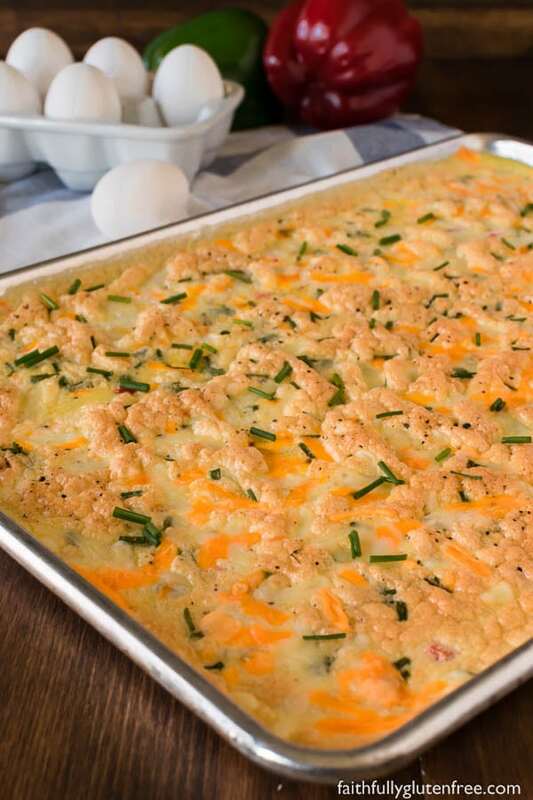 Thank you to Egg Farmers of Canada for sponsoring this recipe. You can follow them on Facebook, Instagram and Twitter for more great recipes and info on Canadian eggs. Although I was monetarily compensated for this recipe, the opinions expressed are completely my own. HAPPY WORLD EGG DAY! On October 12 (and any day really) you can celebrate World Egg Day by enjoying your favourite egg dishes. Eggs are a staple in our house. I often have hard-boiled egg in the fridge for a quick high-protein snack, or to quickly make some egg salad sandwiches for lunch kits. My daughter will often fry some eggs in the morning for breakfast before heading off to school. And I use quite a few eggs in my gluten free baking. Did you know that every province in Canada, even the Northwest Territories, has egg farmers? There are over 1,000 family-run egg farms in Canada, spread out from coast to coast, so that wherever you buy your eggs from, they are local and fresh. Pretty cool! You slept in. The dog ate your slippers. Your kid refuses to get dressed. You forgot to pack lunches the night before. There are a number of things that can set us off on the wrong foot in the mornings. 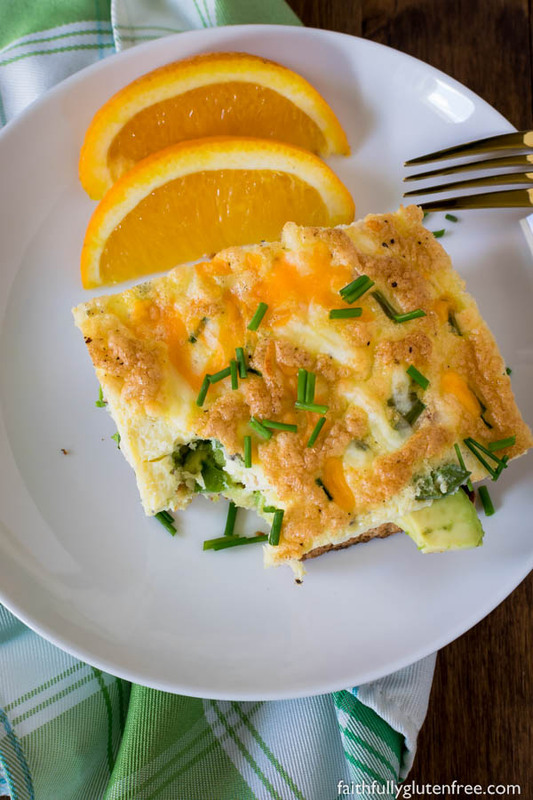 But these time-saving Sheet Pan Eggs will make sure that, despite all the challenges, you at least have a healthy, hearty breakfast before starting your day. 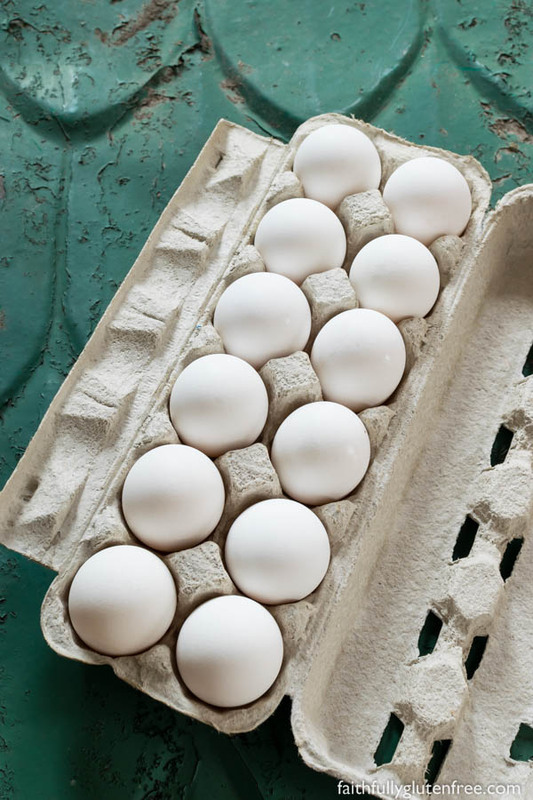 These make-ahead Sheet Pan Eggs also refrigerate wonderfully, so you can bake them when you have time and eat them whenever you want. After they are baked, just let them cool, cut them up, and store them in an air-tight container in the fridge. You can either eat them cold or you can reheat them in the microwave or a frying pan. You can enjoy them as is, or you can use them make a delicious breakfast sandwich. We really enjoyed it on on top a slice of gluten free toast with avocado. Cutting them into circles and topping a gluten free English muffin or bagel would be great too. Did you know that all ll 1,000 Canadian egg farmers across Canada adhere to the same National Animal Care and food-safety programs? This ensures that the hens are always well cared for, and that your eggs are always fresh and clean. They take pride in their work. Don’t find yourself scrambling for breakfast ideas to feed a crew. 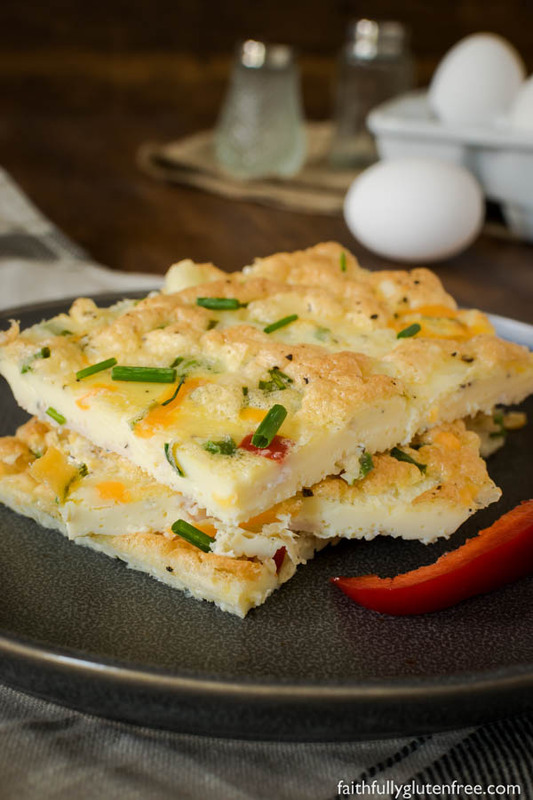 These time-saving Sheet Pan Eggs are an egg-cellent way to cook eggs for a large crowd. A life-saver for when your extended family comes to stay at your place over the holidays, or the kids have their friends down for a sleepover. Show me your egg-squisite egg creations! You can take part in World Egg Day too! Cook up your favourite egg dish, take a picture, and share it to social media tagged with the #WorldEggDay hashtag. It’s that easy! Grease a 13" x 18" rimmed sheet pan with coconut oil. I smeared the bottom and sides of the pan with solid oil, ensuring that it was well greased. Crack the eggs into a blender (alternately, you can use a deep bowl and hand-mixer). Add the milk, salt, and pepper. Blend on medium-high speed for 30-45 seconds, or until the mixture is smooth and airy. Pour the egg mixture into the prepared baking sheet. I like to place the pan on my stove top to do this, so that I don't have to move around the kitchen with a sheet pan of runny eggs. Less chance of spilling this way. Sprinkle the top of the eggs evenly with the meat, diced peppers, cheese, and chives. Bake in preheated oven for 20 minutes, or until the eggs are set and no longer runny. Let them sit for 2 minutes before slicing and serving. When you slice the pan into 12 pieces, the pieces are the size of a slice of bread. Perfect! Feel free to change things up by using any vegetables or meat that you are craving. Just be sure that whatever you are using is pre-cooked (especially bacon or breakfast sausage). Customized sandwiches: Make one side vegetarian, and the other side a meat lovers. One side with olives, the other with Feta cheese. Get creative, and make it to suit your tastes. Yeah, pretty sure everyone has “those days” occasionally. 🙂 Always easier with a plan though! I love this idea! I’ve been trying to come up with more “feed a crowd” type recipes, and this would be perfect! 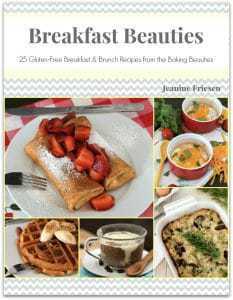 I actually have a ladies brunch coming up next month, and think this would be great to bring to it! Thanks, Michelle! It is the best way to serve everyone at once, without having to stand at the stove cooking while they wait. Hope you enjoy it!